One of the most unique things about the Kentucky Derby, aside from the thrill of the Greatest Two Minutes in Sports, is the beautiful display of colors going on under the Twin Spires. 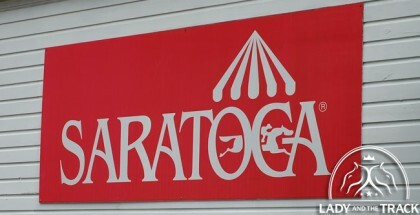 In addition to the dashing duds donned by the men and the beautiful dresses and fancy hats showcased by the ladies, each horse is represented by the beautiful silks of their owners, worn proudly by their jockeys as they dream of reaching the coveted winner’s circle reserved for one horse per year. So, with that in mind, it’s easy to make any Derby party colorful. From your clothes and the clothes of your guests, to the plates and napkins, to the red roses that signify the Derby, it’s easy to have some fun with the many shades of the rainbow. Basically, a well-planned and colorful Derby party is loaded with fun for everyone. When you send your Evite, request that your guests wear the colors associated with their favorite Derby entrant—shirts, dresses, pants, shorts, hats… whatever. Have them show their love for their favorite. All of your guests will be suitably attired and showing their spirit, which is a good place to start any party. And make sure the ladies know their hats are always welcome. Have an impromptu hat contest with all of the guests voting on their favorite. 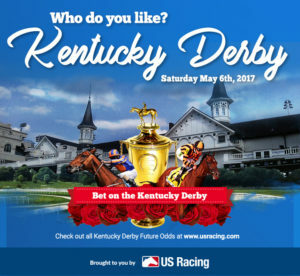 Award the winner a wager on their Derby horse through your USRacing.com account and be ready with cash if their choice happens to be a longshot. Party superstores such as Party City are ready for your Derby party needs every year. 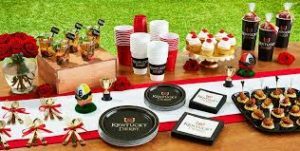 They sell Derby tablecloths and cups and plastic julep glasses, as well as plates and napkins and banners and swizzle sticks, all adorned with the logo created specifically for this year’s Run for the Roses. If you want to splurge, buy it all. And have fun with it. The party superstores also have jockey helmet cutouts and photo cutouts and wall decals — basically anything and everything you need for a divine Derby bash. Nobody knows your guests more than you, so finding things they’ll have fun with only adds to the fun of the party atmosphere. If you buy a cutout, make sure to get a photo of every guest behind it and post it to your social media account, and tag them to show off how much fun your party is. Now if you’re on more of a simple path, just go with basic colors. Mix and match plate colors and napkin colors from across the spectrum, as just about every color imaginable will be represented this year. And always over-buy so people can have fresh plates each time they head to your refreshment table. Since you’ve saved your goldfish bowls and gravel from your Oaks party the day before, the centerpieces for your Derby party should be easy. 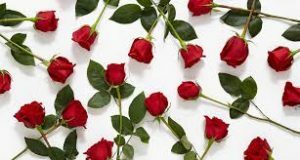 Red roses, the symbol of the Kentucky Derby for 143 years, are always everywhere. Flower shops, grocery stores and even the local convenience stores almost always have roses for sale to help that poor guy who forgot an anniversary, a birthday or Mother’s Day. And because the roses are for your centerpieces, they don’t need to be the best ones. They just need to look pretty in your goldfish bowl. Just trim the stems long enough to anchor them in the gravel, add fresh water and place on your table for a beautiful effect. And if you don’t want live ones, swing by the local craft store where you’ll find more manufactured red roses than any other flower. And since they’re reusable, they can be saved for next year’s party as well! Nobody thinks of the Kentucky Derby without thinking of the mint julep. Anyone who knows anything about a real mint julep knows the best taste comes from the right combination of bourbon, simple syrup and ice. Crushed ice. If you don’t have crushed ice then be prepared to smash it yourself, either in plastic baggies under a rolling pin or in a blender/food processor… because any mint julep not served over crushed ice is borderline sacrilegious. Here’s the best recipe for the tastiest mint julep. 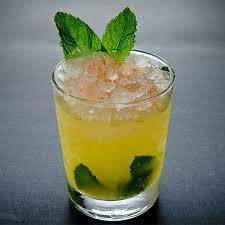 Make sure you buy several bunches of mint to use for the actual recipe, as well as for the garnish. Most grocery store produce sections carry mint throughout the year, but especially this time of year, so you shouldn’t have trouble finding what you need. And it’s not expensive. The choice of bourbon is yours, but premium bourbon is the best — Maker’s Mark, Woodford Reserve and other upper-end bourbons. Bourbons are typically wheat-based or rye-based; a rye bourbon (like Wild Turkey) will have a spicy backbone, while a wheated bourbon (like Maker’s Mark) will have a sweet, smooth taste. And some are equal wheat and rye (Buffalo Trace), so most of the debate about the best bourbons for mint juleps focuses on the rye versus wheat debate. It’s a personal taste, but a wheated bourbon brings just the right amount of sweetness to a mint julep, even with the simple syrup. When the liquid reaches boiling temperature and turns a light brown and all the sugar is melted, let cool one hour before pouring through a strainer to remove the mint leaves. Put into a container to store in the refrigerator overnight. While a frosted silver mint julep cup is ideal, any cup will be suitable. Fill it as full as possible with crushed ice and add four ounces of bourbon and once ounce of simple syrup. Depending on how sweet your guest may want it, adjust the simple syrup ratio by a half-ounce, plus or minus. Garnish with a fresh mint sprig and swizzle stick or cocktail straw so your guests can constantly stir to gain their personal ratio of ice, bourbon and simple syrup. 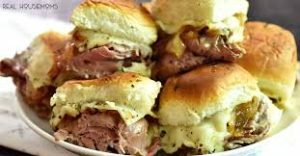 One of the best things to eat at a Derby party that pairs well with a mint julep is a tasty roast beef slider — or several tasty roast beef sliders. These can be prepared in advance and popped into the oven as guests arrive. 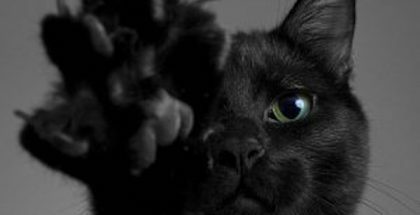 Make sure you count at least two per guest, as they will disappear quickly. If using walnuts, heat walnuts in a small, non-stick skillet over medium-low heat, stirring occasionally; 5 to 6 minutes or until lightly toasted. Cut dinner rolls in half, laying bottom half in a baking dish layered with foil. Spread preserves on cut sides of top of rolls; sprinkle with walnuts. Set aside. Spread mustard-mayonnaise blend on cut sides of bottom of rolls and layer with beef and cheese. Cover lower half with top halves of rolls, preserves sides down, and wrap top of dish in aluminum foil. Bake at 325° for 20 to 25 minutes or until cheese is melted. Slice into individual sandwiches and serve. One of the most awesome sides to serve at any party is Carole’s Classic Vermicelli salad. It’s another salad that only tastes better after a night of resting, but still tastes fantastic if you’re pressed for time. Bring a large pot of lightly salted water to a boil. 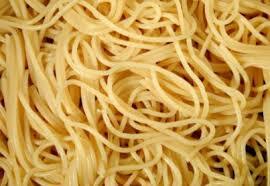 Place pasta in the pot, cook for 8 to 12 minutes until al dente and drain. Combine all other ingredients in a bowl and mix well. Add to pasta and mix well, coating all of the pasta. Let sit for a minimum of two hours in the refrigerator, but best to let sit overnight. Recipe serves six to eight, so adjust size and double if necessary to accommodate all of your guests. And like the Oaks party, don’t forget the vegetable crudites, chips and salsa, potato chips and dip and nuts and M&Ms placed for snacking around the television and sitting area. Another simple appetizer idea is basic crackers, cheese and salami. Buy your favorite cracker, sliced cheeses and salami slices in the deli selection. Enough for your guests to have their appetites sufficiently appeased until the main course and also to snack on later after the sandwiches have been eaten. If you’re really daring, the signature desert for the Kentucky Derby is the “Derby Pie.” Though the name is well-guarded and protected by licensing, the recipe is not. It’s a tasty combination of chocolate, bourbon and nuts. If you decide to try to bake your own, make sure you do it a day in advance so it has time to rest and is ready for serving before the horses head to the gate. It’s not easy, but even if it looks like a failure when you’re done it will always taste good, especially hidden by fresh whipped cream. Preheat oven to 325 degrees. Fit pie crust into a 9-inch deep-dish pie plate according to package directions; fold edges under, and crimp with a fork or your fingers. 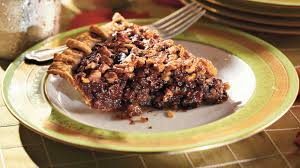 Sprinkle pecans and chocolate evenly onto bottom of piecrust. Mix corn syrup and the next three ingredients in a large saucepan and bring to a boil over medium heat. Cook, stirring constantly, for 3 minutes. Remove from heat. Whisk together eggs and next four ingredients. Gradually whisk one-fourth of hot corn syrup mixture into egg mixture; add to remaining hot corn syrup mixture, whisking constantly. Pour filling into prepared pie crust. For whipped cream, use a hand mixer with one cup heavy cream, one tablespoon confectioner’s sugar and one teaspoon pure vanilla extract. Collect $6 from every guest for the random Derby name pull. Four dollars from each guest will go into the pot and the winner takes all if they pull the winner’s name. 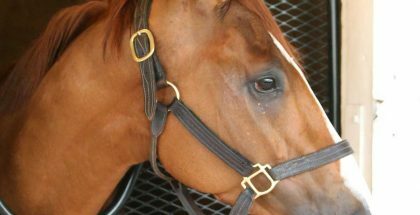 If 20 horses head postward, that’s $80 for a $6 investment. The other $2 goes to the last-place finisher pool. Whoever pulls the last-place finisher takes home the remaining $40 if 20 horses break from the gate. And don’t forget the proposition, or “prop” bets. 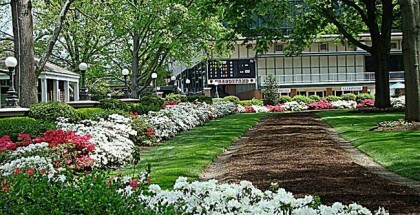 Racing fans from any level can have fun and answer fun questions about the Derby. Most of all, have fun and don’t drink too much. Make sure you’ve got the number for a local taxi company or your Uber and or Lyft apps pulled up and ready, just in case someone celebrates a little too much.